Last Friday we brought you our annual Gift Guide from the November/December issue. 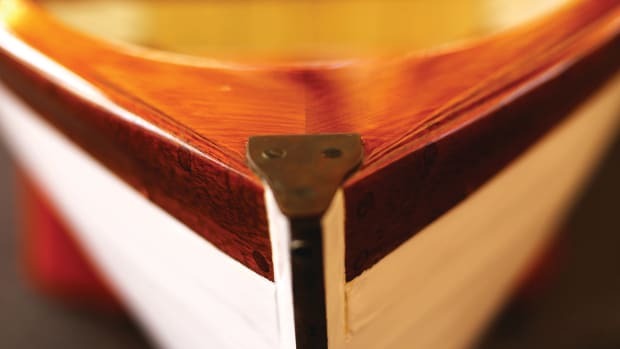 Last weekend, as we waded through Black Friday and Cyber Monday emails, we came across a few more notable nautical gifts. 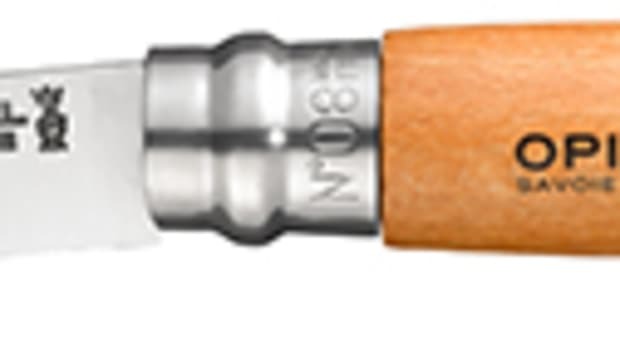 Here are a dozen more gift ideas for the nautical ones on your nice list. Also, read to the end and find a few more book recommendations. 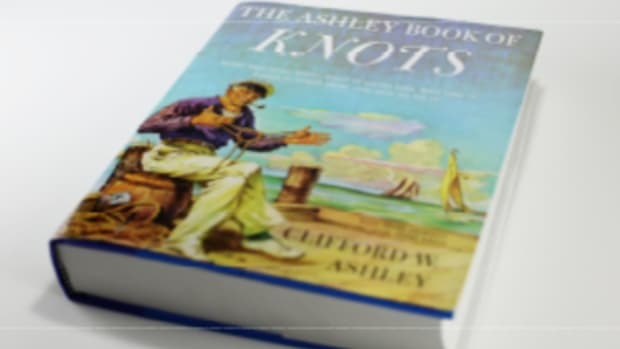 We all know that boater who’s knot-tying skills aren’t their strong suit. 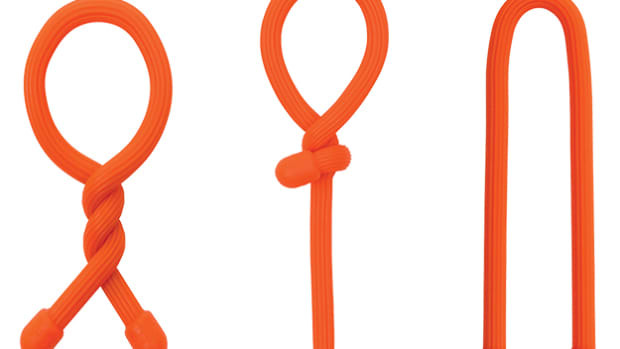 No longer do we need to double check their knots nor must they live by the mantra, “if you don’t know a good knot, tie a lot of them.” The Fishbone Knotless Rope Tie is a device for implementing knots in line diameters from 5/32" to a 1/2". A few quick wraps around the fishbone, pull tight and you can create an inline knot or a loop knot. 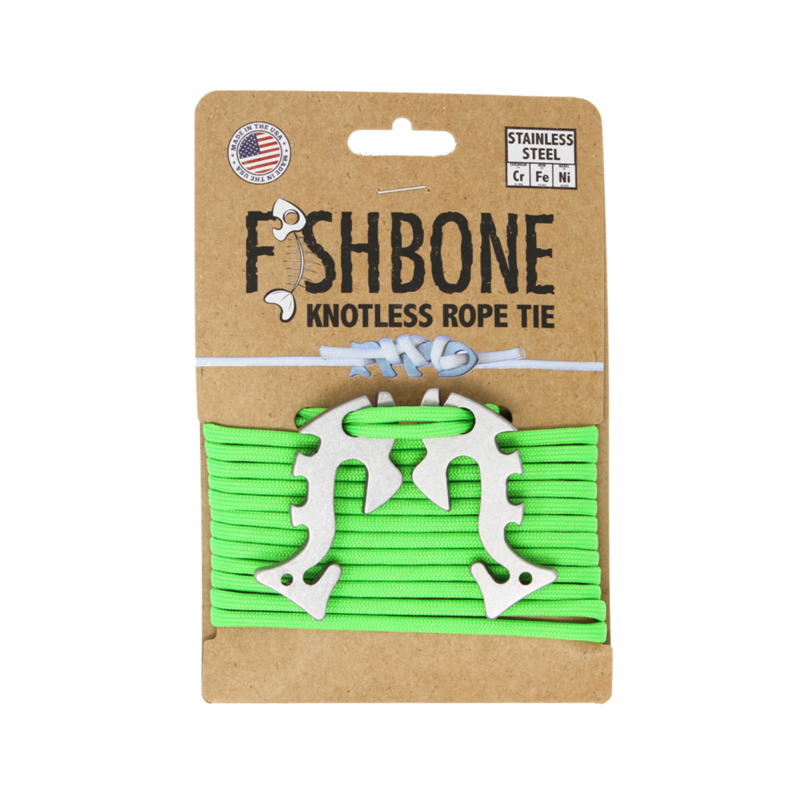 Now, I wouldn’t use it for securing your boat to a mooring, but for hanging a hammock, stringing up a clothes line, or a variety of other utilitarian tasks - the Fishbone is just the thing. We are all looking to capture the adventure; some of us save it to our memory banks, some save the photos on their phones, and some like to capture it all on camera in luscious 4K. 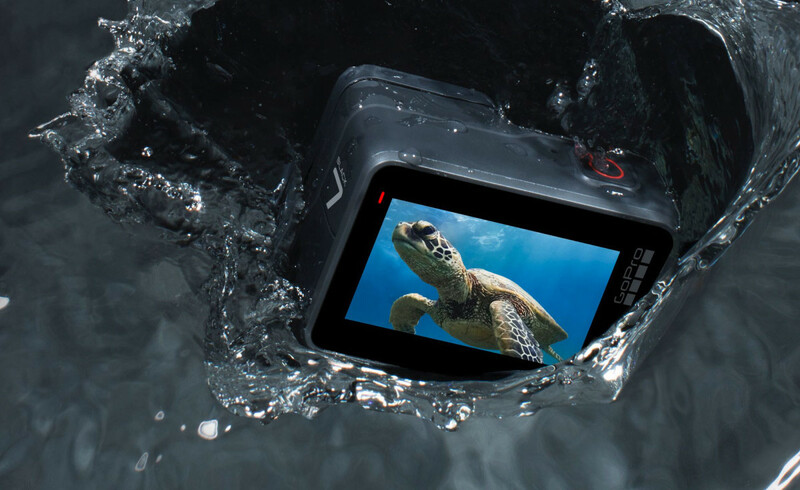 GoPro has been known for making great waterproof cameras and the new GoPro 7 is the perfect camera to capture all your on- and off-board adventures. But we couldn&apos;t decide on just one GoPro after coming across the GoPro Fusion, their first 360 camera. 360 videography has intrigued me recently and one of the amazing features the GoPro Fusion has is overcapture, which allows you to crop out regular video from 360 degree footage. Mount your camera, capture the action, and direct your camera angle later! Flashlights have a million uses on boats from staring into the depths of the bilge, to walking down an unfamiliar dock, to signaling rescuers. Waterproof, high lumen flashlights should be plentiful onboard, whether in your ditch bag, mounted in the engine room, at the helm, and to your PFD. The Streamlight ProTac HL is the perfect quality light for your PFD or ditch bag. 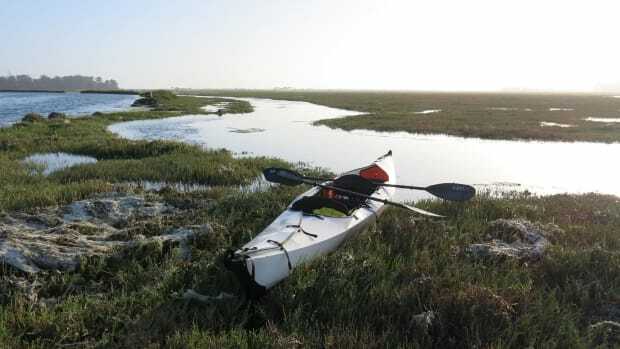 Not every light onboard needs to be a high-quality, waterproof, high-lumen light, but if you end up in a rescue situation the last thing you want to be using is a weak flashlight to signal for help. The ProTac HL is 750 Lumens, has a waterproof rating of IPX7, and includes modes for degrees of light, strobes, and will work for 18 hours on the lowest light setting. See the light and be seen with the ProTac HL from Streamline. It might just be the Seattleite in me, but no one should ever drink bad coffee. Not while camping and certainly not while boating. 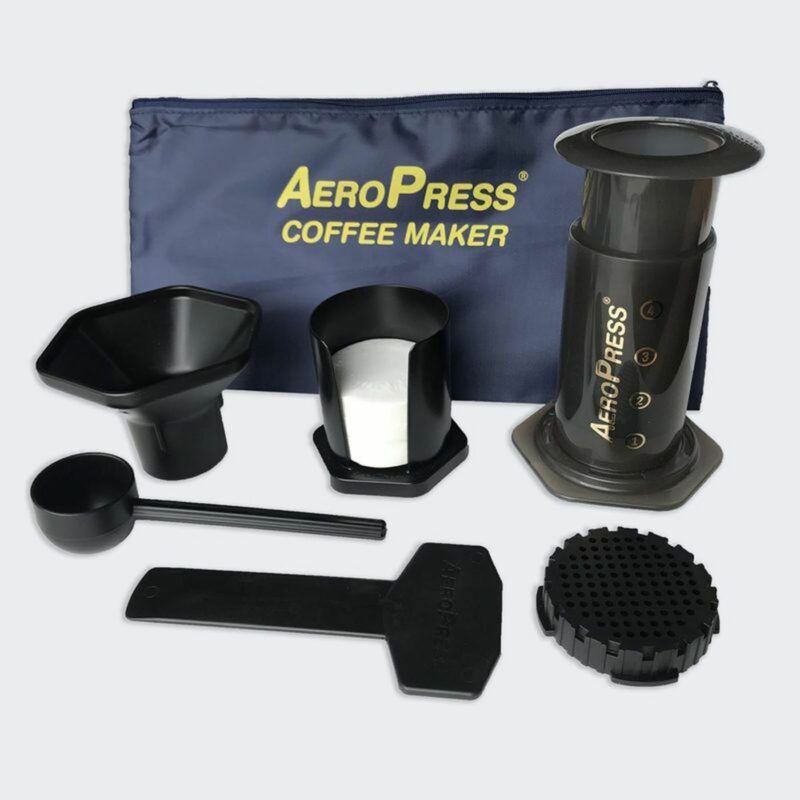 And even if you have the fanciest Nespresso machine aboard for that perfect cappuccino, every boater should also have an Aeropress Coffee Maker. The small form press is great for every boat, produces the perfect cup of coffee and cleans with ease. From a full cup of joe to a Hammerhead (the drink not the shark), an Aeropress deserves a place in your galley. Sure, part of the reason I&apos;m adding this bag here is because I also just added it to my Christmas list. But this 15-liter bag is the perfect boat bag for any trip, from a weekend aboard to a bareboat charter in the Virgin Islands. Watershed has been building quality waterproof kit since the mid-1990s. Want proof? They&apos;ve built bags for the US Navy SEALs and NATO. 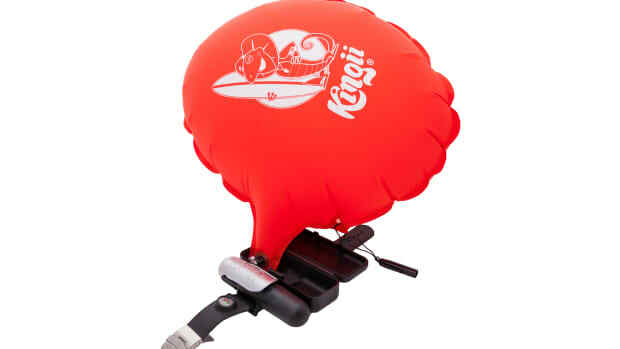 The airtight zipdry closure, strong seams and nylon, along with it&apos;s roll top will keep your gear dry if you miss the deck when heaving your bag from the dinghy. 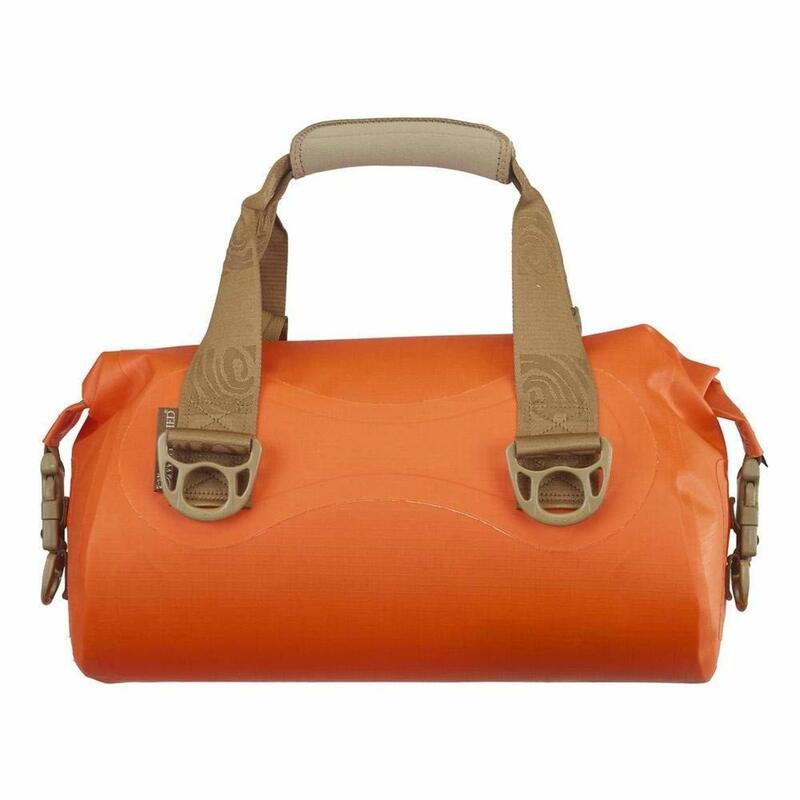 This is the kind of bag you&apos;ll have for ages, and will come in handy even when you aren&apos;t onboard. Not to mention, at $86 it won&apos;t break the bank (or weigh down Santa&apos;s sleigh). 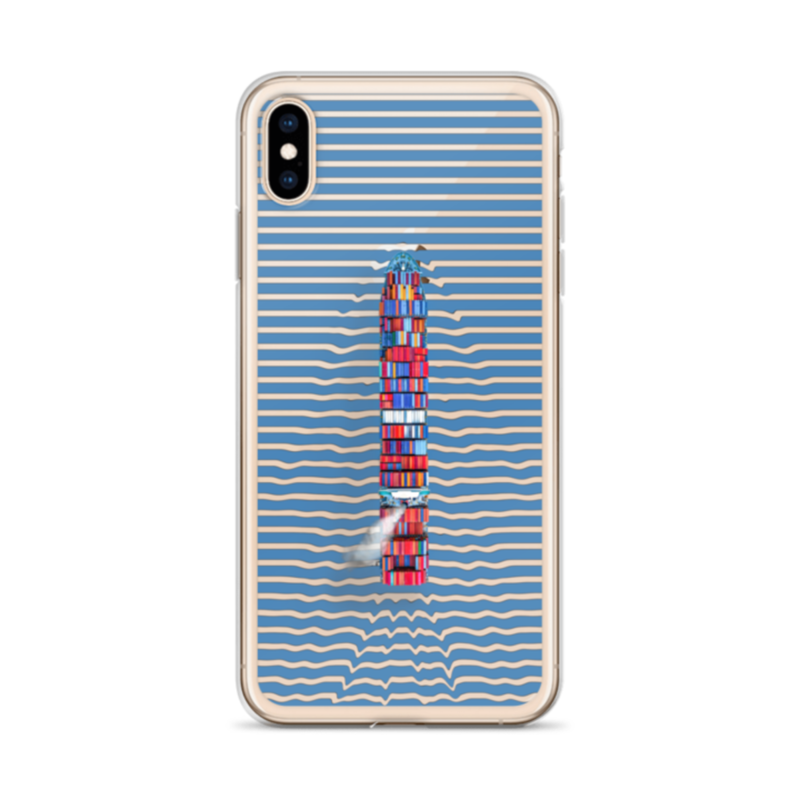 If you&apos;re looking for a fun stocking stuffer or accessory to go along with that new iPhone, look no further than the GCaptain Ultimate Ship iPhone Case. Sure it&apos;s just a simple Hybrid Thermoplastic Polyurethane (TPU) and Polycarbonate (PC) with a polycarbonate back, but the design is pretty awesome. It&apos;s the sort of nautical accoutrement that any boater can appreciate. Get two and you can practice stand-on and give-way situations at the bar. Buy it here. How about a chart you can wear of your favorite port? 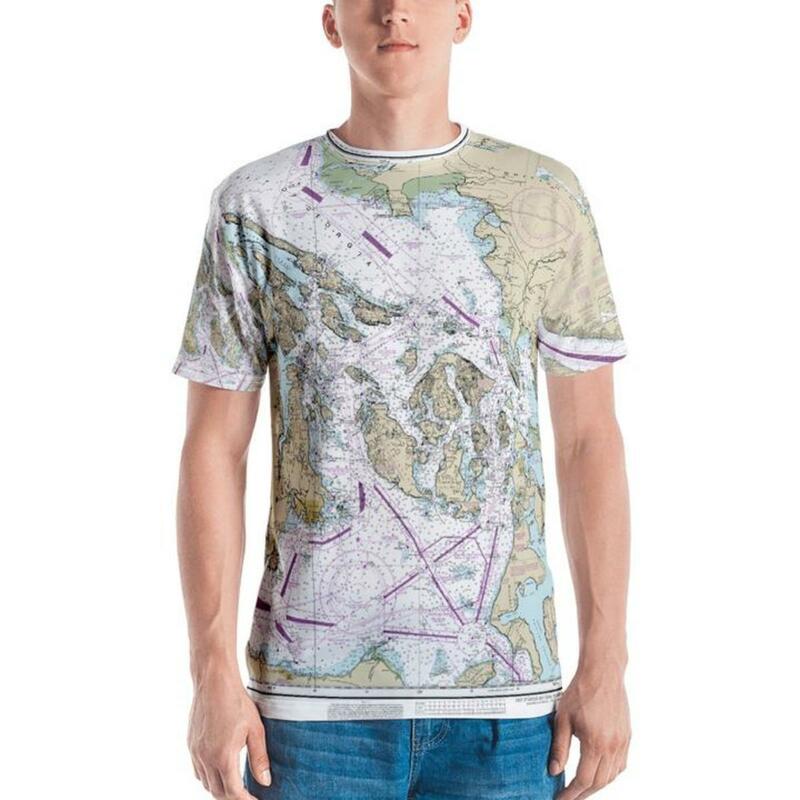 They might be a little loud, but these nautical charts shirts are the perfect thing for the waypoint plotter in all of us. Grab a chart shirt of your local port or of your next destination via these NOAA vector chart prints. GCaptain seems to only carry these shirts in men&apos;s but the they also have bags and towels sporting the same design. Okay, we promise not to post any other gifts from GCaptain, but seriously they have a great shop, with plenty of amusing nautical gear and gifts. 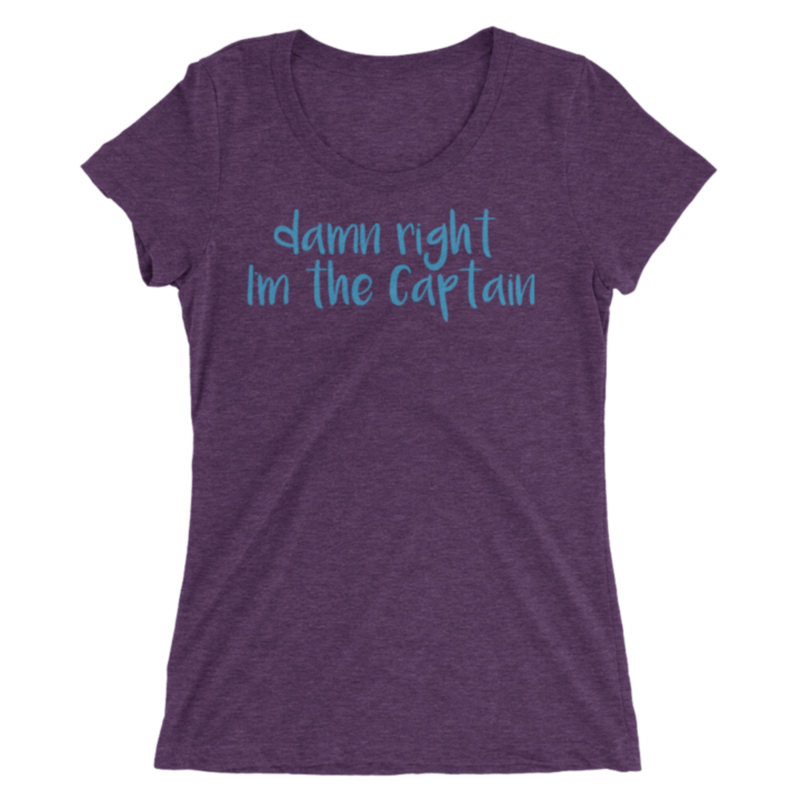 But we&apos;d be amiss if we didn&apos;t point out this shirt for all our female captains out there. This women&apos;s v-neck tee is perfect for distinguishing yourself as the captain of your vessel. You&apos;re at the helm, you&apos;re in control, you&apos;re the damn captain. So here is a shout out to all our favorite female captains. 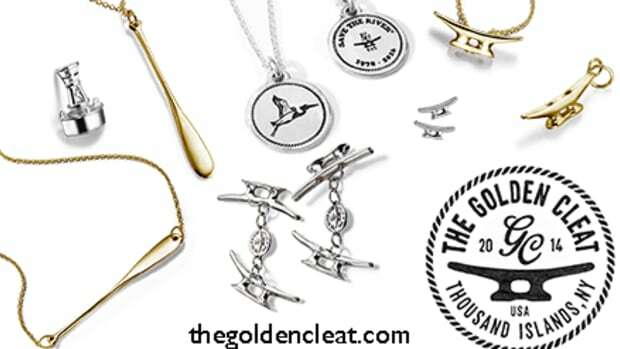 Order yours now and we hope to see you sporting it at the next Women&apos;s Round Table at TrawlerFest. Ever since I first saw the Jellyfish fish tank at the Steak 954 restaurant in Fort Lauderdale, I&apos;ve wanted something like this. This artful fish tank is six gallons and is designed for keeping juvenile or small jellyfish. With built in, changeable LED lighting you can set the mood with a remote. 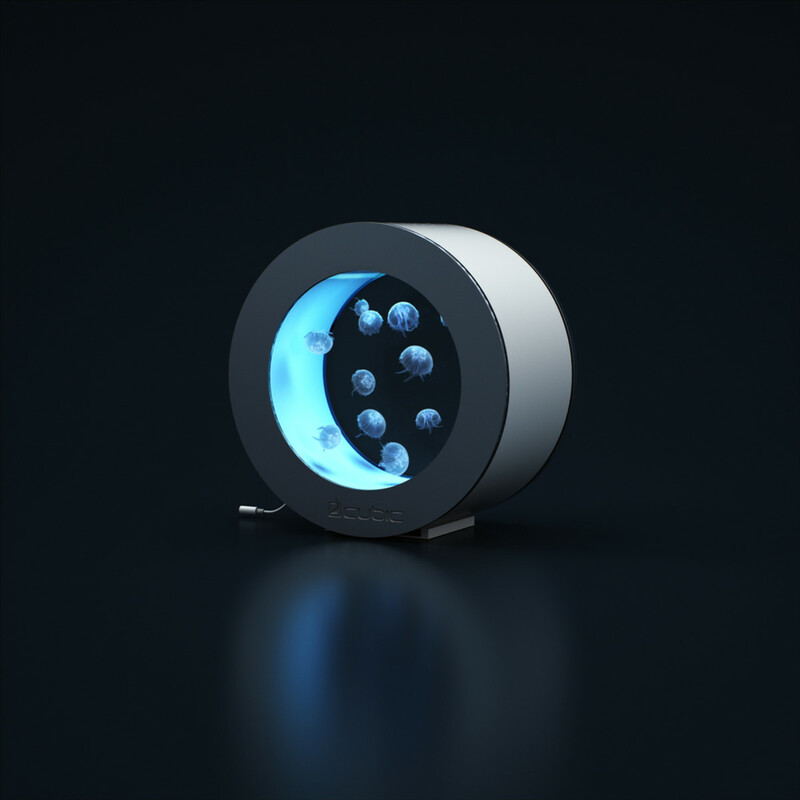 It has built-in filtration and can support up to ten juvenile or three small jelly fish. Perfect for a table or a desk, this jellyfish house is sure to be a conversation starter. For the boater who likes to angle for the occasional fish the ANGLR Bullseye is the perfect gift. ANGLR Bullseye takes anyone’s fishing experience up a notch. This Bluetooth-enabled button attaches to a person or boat, and all it takes is one or two clicks to record an entire experience on the water—catches, weather, waypoints, and more. 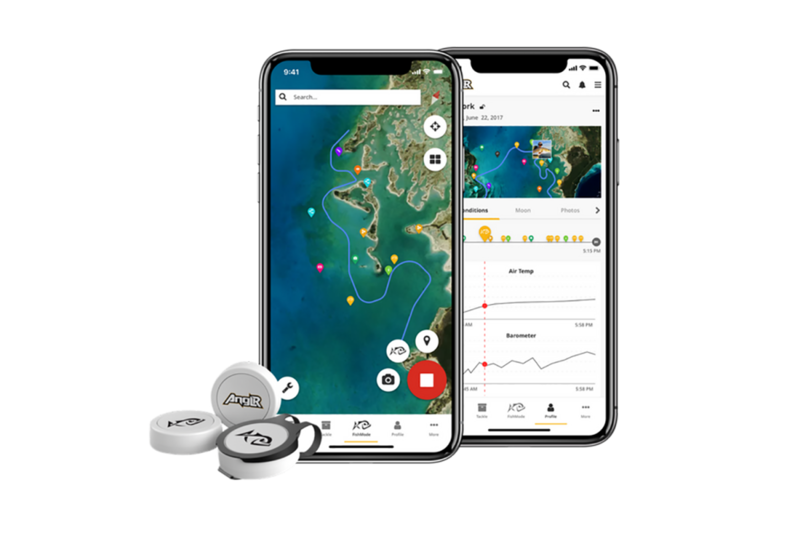 The connected ANGLR fish-tracking app allows anglers to see trends in their fishing for better results. It&apos;s what every angler didn’t know they needed. Find it here. If you want a timekeeper that makes a nautical statement, this watch is for you. 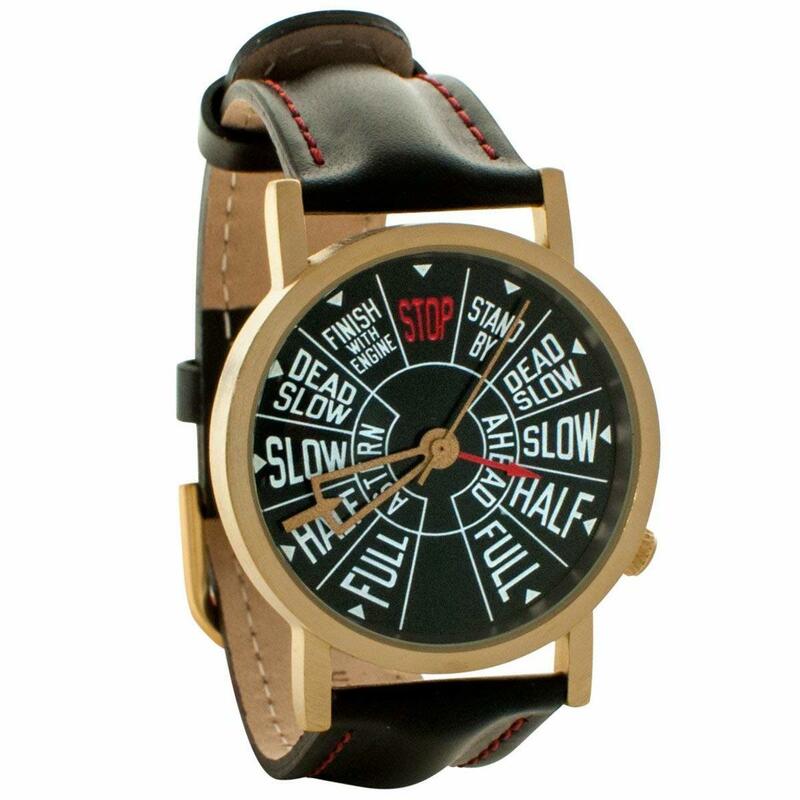 Mimicking the Engine Order Telegraph of ships of yore, this unisex watch will command time as well as conversations. With a leather band, a Japanese quartz movement and 33mm face it is the perfect timepiece for the nautical watchstander in your life. 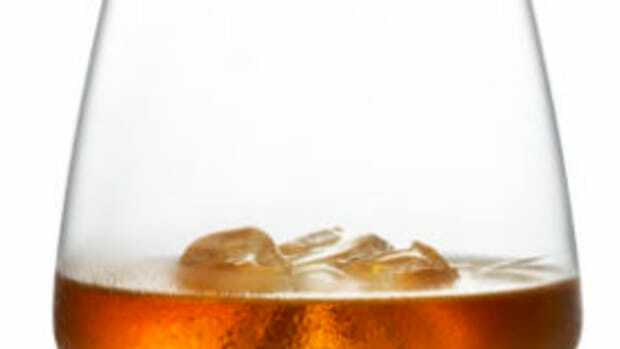 It serves to also mention, cocktail hour is full steam ahead! 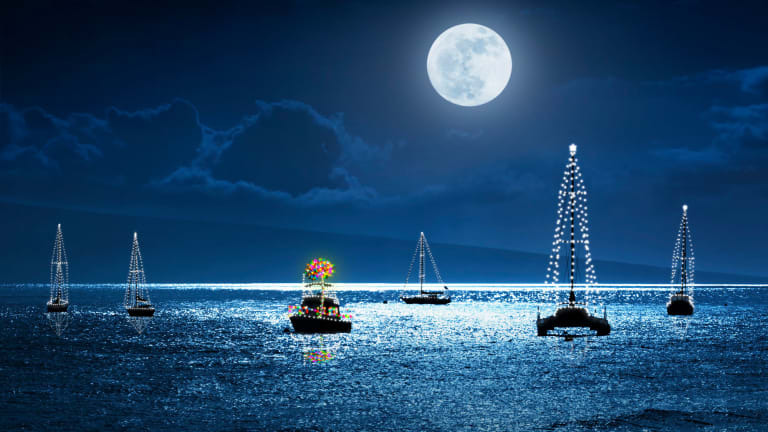 The Puff Solar Light is the perfect boating accessory to light up your life. 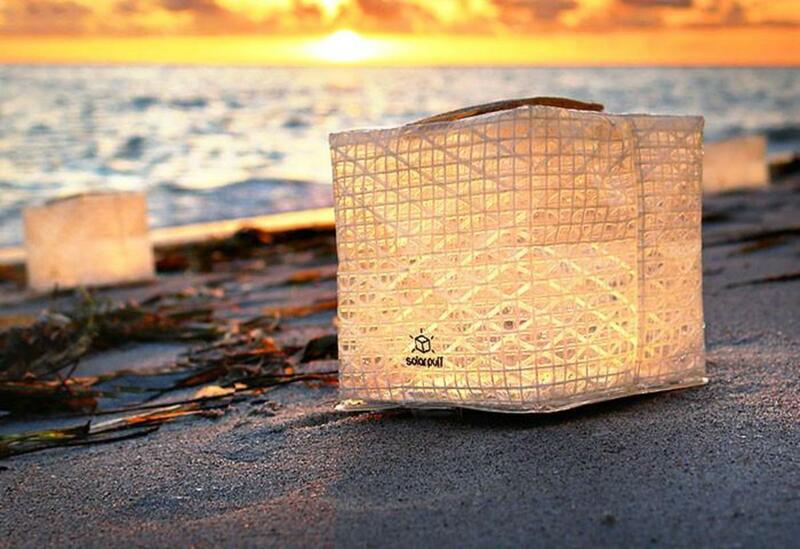 And for every Puff Solar Light sold, 10% goes to light the lives of children in need. 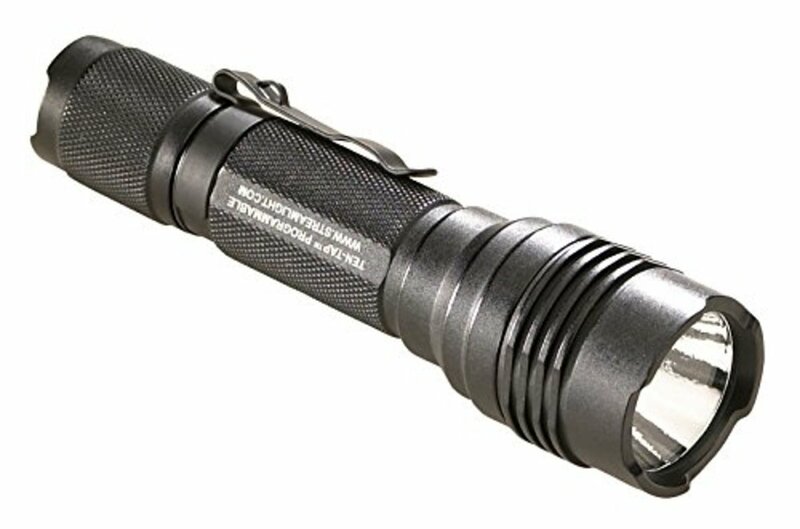 Several years ago I picked one of these up at FLIBS, and it gets packed on every boating trip, camping trip, and twilight endevour upon which I embark. This solar powered, flat pack light expands easily into a square lantern and is perfect for lighting up your aft deck, providing mood lighting on your fly bridge, or illuminating the beach after a stargazing party. 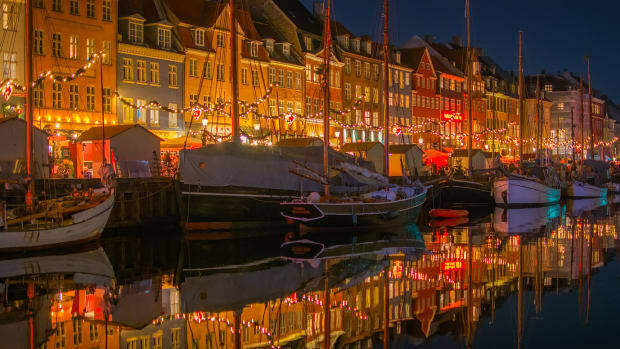 Here is a quick bonus for the nautical reader on your list. If you are a book lover or a book-giver, these are sure to be solid page-turners.